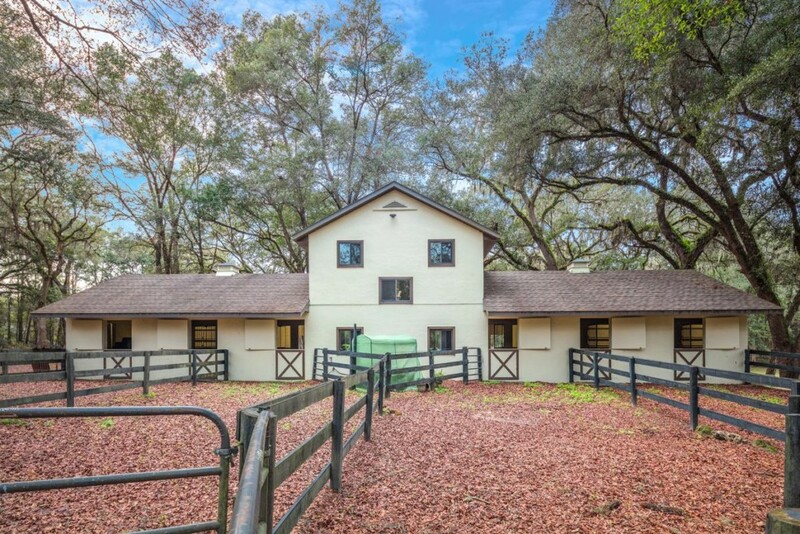 These 10 gorgeous acres in prestigious Equestrian Oaks is represented by Valerie Dailey of Showcase Properties of Central Florida. If you have buyers that can’t go anywhere without their horses, this property is perfect for them. Located at 1025 Northwest 150 Avenue in Ocala, Florida, Sterling Oaks offers every luxury expected of Central Florida horse country. Included on this property are: a four-stall (convertible to six-stall), center-aisle barn with apartment, tack, hay, and shop rooms, adjoining paddocks and mats in all stalls. The custom-built home itself is a stunning two-bedroom and two-bathroom dwelling. Find rustic wood accents throughout–fitting for a country home. Its great room comes complete with fireplace, timber-beamed ceilings and a two-story view of the acreage. The Brazilian cherry-wood floors throughout and the energy-efficient kitchen with granite counters make the home both efficient and beautiful. For guests and relaxing at home, the surround-sound system and screen-closed pool and deck make for everlasting memories. To top it off, find a lovely pond and Gazebo outdoors. Perfect for horses and their loving owners! For more about Valerie Dailey and Sterling Oaks, please visit: 1025northwest150.com.